The city of Marseille, the second French city, has chosen the pay and display machines PrestoInteractif for the expansion of its paid parking area. Integration into the urban environment and the touch-screen interface for the user have particularly impressed the citiy always looking for modern and smart services for its citizens. Installed in the area Rouet in the 8th district of Marseille, 50 PrestoInteractif are in service since September. The high-performance touch screen of the machines provides additional comfort to users to purchase their parking ticket with easy and quick navigation. The PrestoInteractif delivers both hourly tickets and short subscriptions for residents. The pay and display machines PrestoInteractif are equipped any of means of payment of last generation. Besides the currency, the user has the possibility of paying his ticket by credit card with contact or contactless and by NFC with his smartphone. 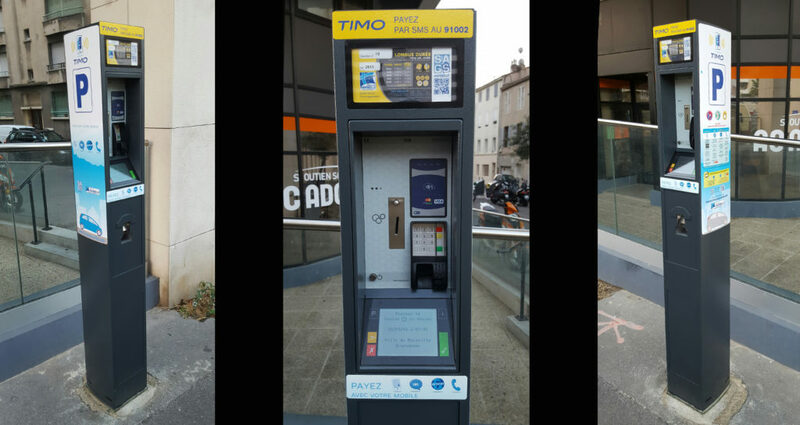 It is also remote that the motorist can buy his virtual ticket with the service TIMO, the dematerialized solution of payment developed by IEM and available on Marseille since April, 2015 and by SMS since this summer.